From the moment I met Kristina I knew I was going to LOVE working with her. We had a great talk at our first meeting and she told me how Sean proposed and about his love for sneakers. 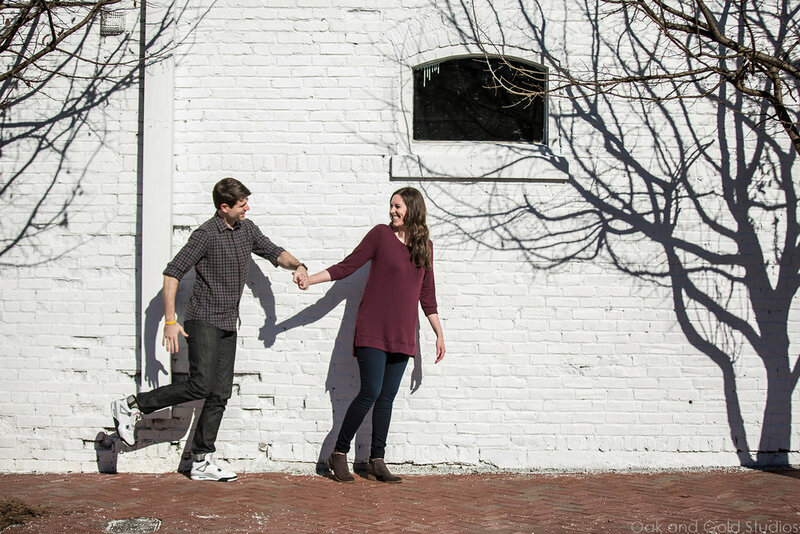 She told me Sean had an idea to do their engagement photos at Krog Street Tunnel and I lit up. I had been wanting to do a shoot there for YEARS, but just never had the opportunity. For those who aren't familiar with Atlanta or Krog Street Tunnel, it's a tunnel on...you guessed it...Krog Street. What makes it unique is that it is FULL of graffiti and street art, and is always changing. Right down the street from the tunnel is the newer Krog Street Market, which is full of fun and unique food fair and a couple shops. 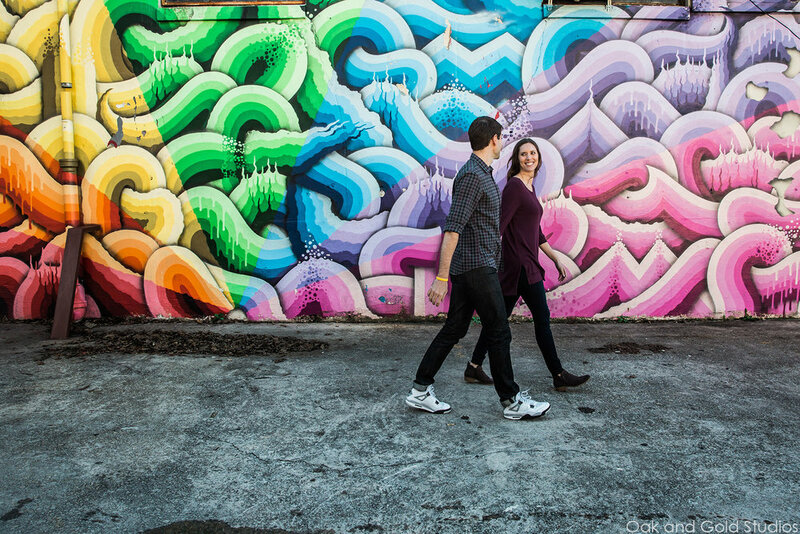 The surrounding area is known as Cabbagetown and is full of street art and cute, older bungalow houses. It's such a fun area for artists and photographers. Anyway, back to Kristina and Sean. They were seriously SO much fun. Very natural in front of the camera and both have great smiles. 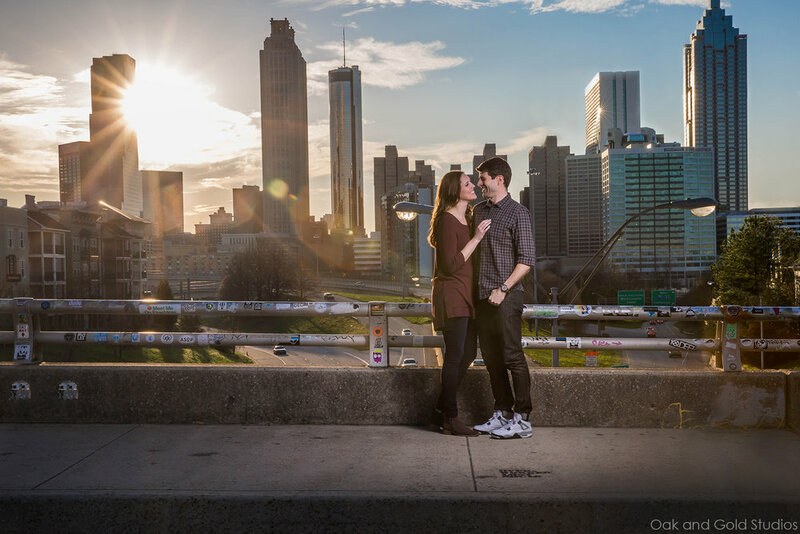 We finished the session at the famous Jackson Street Bridge that overlooks downtown Atlanta. We can't wait for their wedding at Little Gardens later this year!